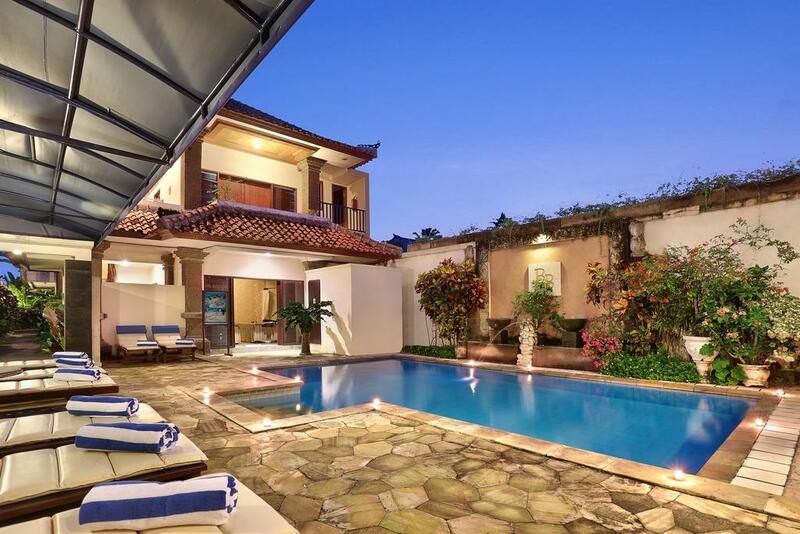 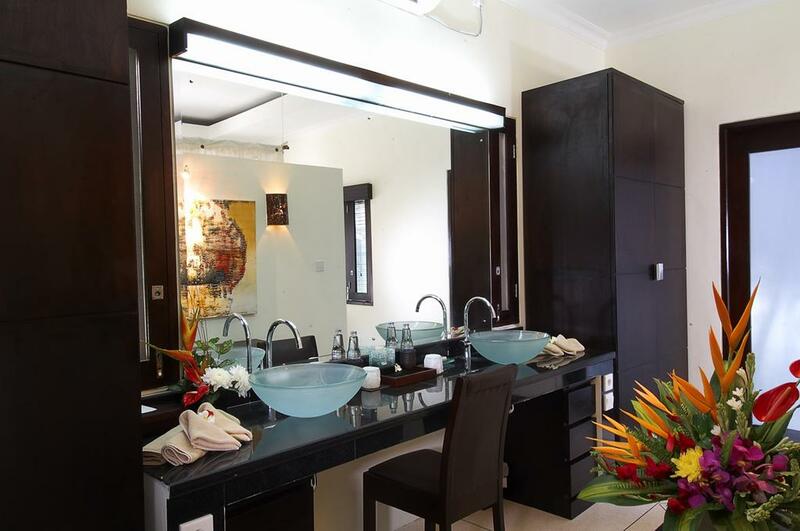 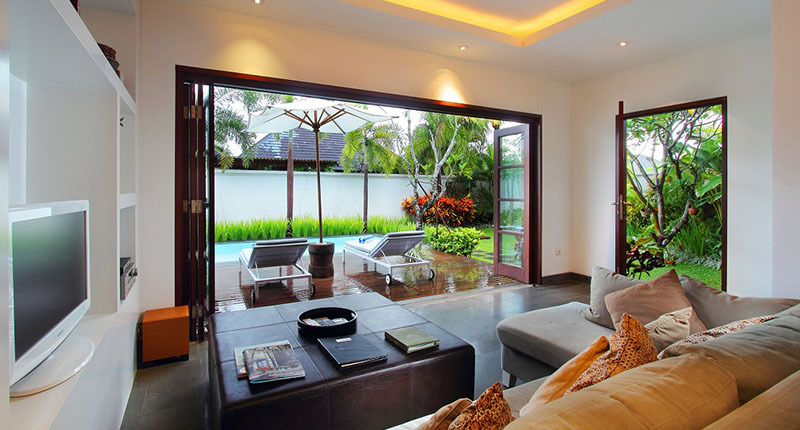 Stay in the Heart of Seminyak, Desamuda VillasThis property is a 20-minute walk from the beach. 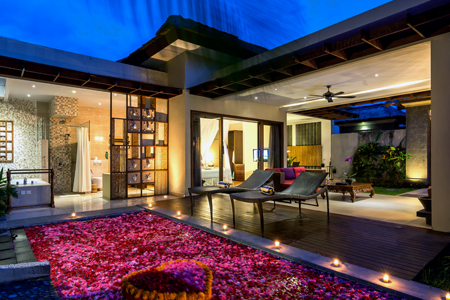 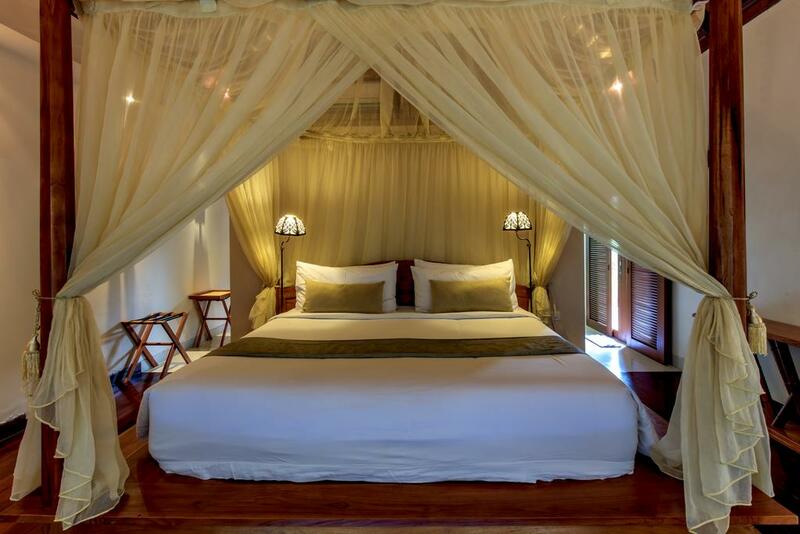 Set within tropically landscaped grounds, these villas feature modern Balinese decor and thatched roofs. 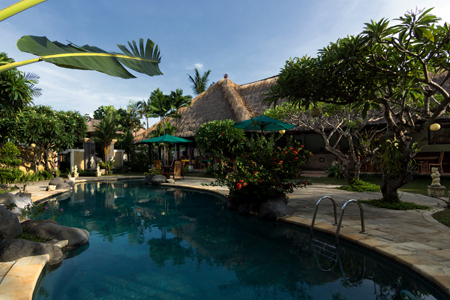 Desamuda Village features a spa, gazebo and 2 outdoor pools. 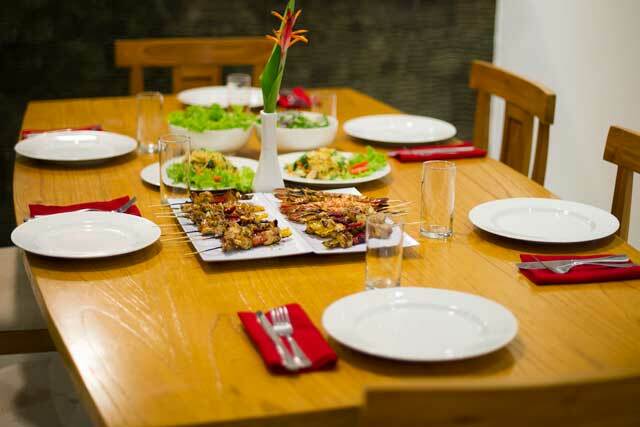 A restaurant and a bar are also available. 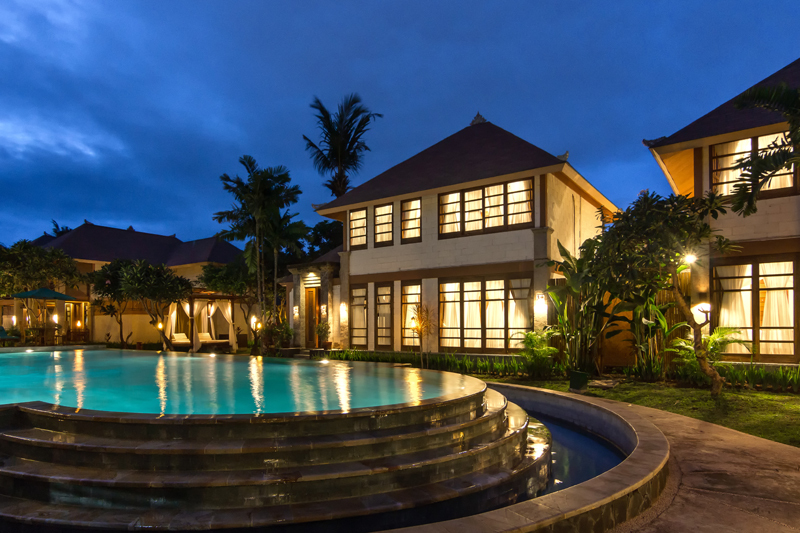 Guests receive free return airport transportation, free shuttle service to Kuta area and free Wi-Fi access.In the heart of Seminyak, Desamuda Village is a 5-minute walk from shopping and entertainment options. 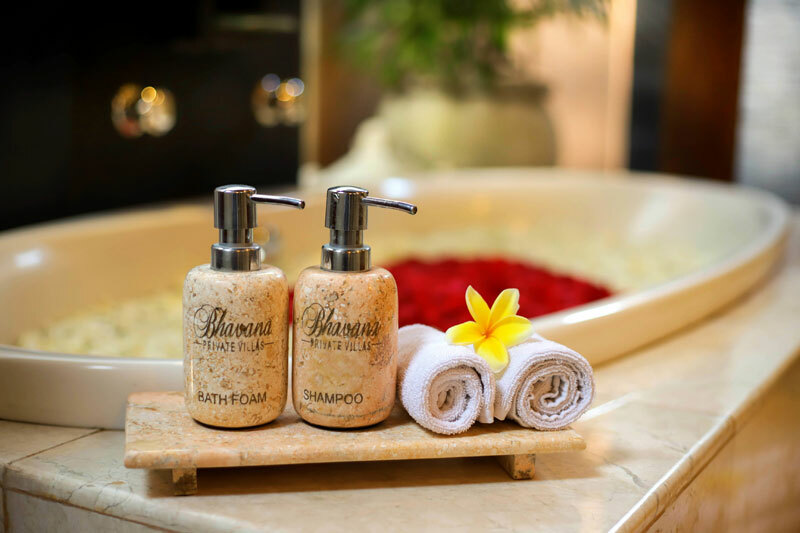 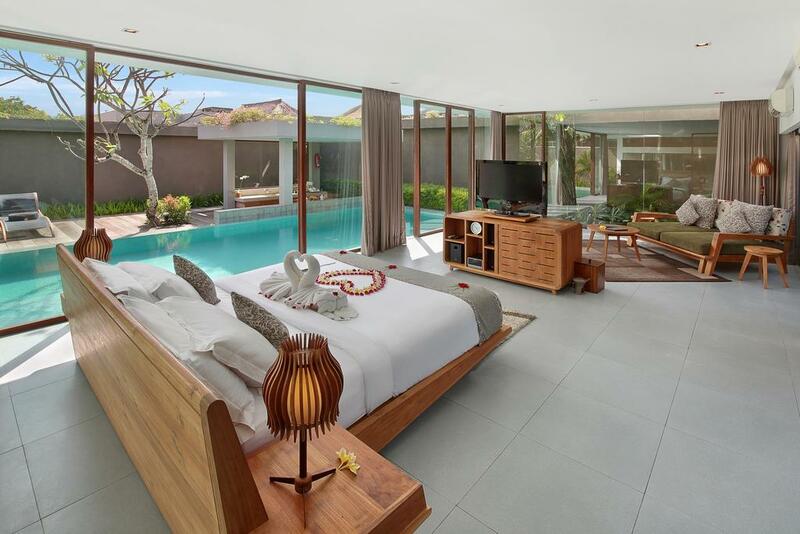 The resort is a 20-minute drive from Ngurah Rai International Airport.Overlooking the gardens, the villas at Desamuda feature a kitchenette and modern comforts including a flat-screen satellite TV and a DVD player. 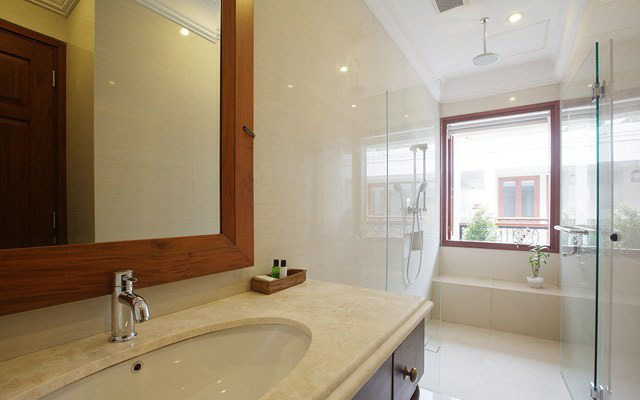 The private bathrooms all include shower facilities and a bathtub. 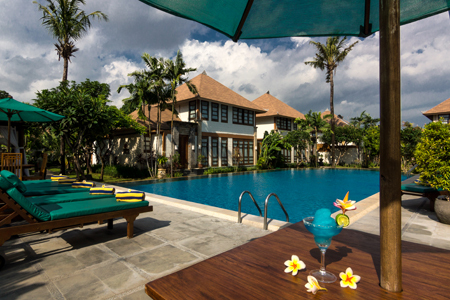 Some villas have private pools.The Rice Table Restaurant serves a wide selection of Indonesian and European dishes. 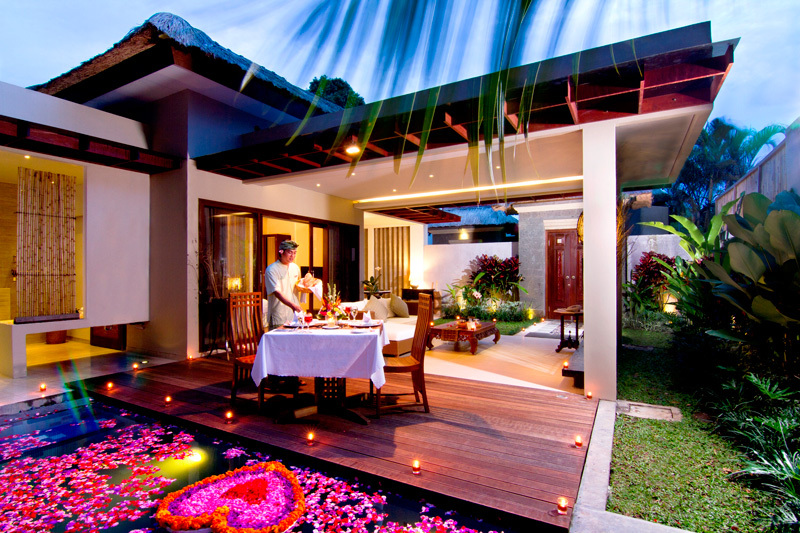 In-room dining is possible. 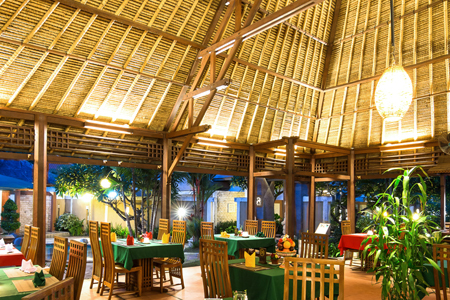 Drinks are available at the hotel’s bar.